David N. Cassuto is a Professor of Law at Pace Law School, where he teaches in the fields of animal law, environmental law, and water law. He is the Director of the Brazil-American Institute for Law & Environment (BAILE) and serves on the board of the Animal Legal Defense Fund (ALDF). He is also the Class of 1946 Distinguished Visiting Professor of Environmental Law at Williams College and a Visiting Professor of Law at the Federal University of Bahia, Brazil. Professor Cassuto holds a J.D. from the University of California, Berkeley, a Ph.D. from Indiana University, and a B.A. from Wesleyan University. Prior to joining the Pace faculty, he practiced complex civil litigation, clerked on the United States Court of Appeals for the Eleventh Circuit, and was a Professor of American Literature. He speaks and writes frequently on animal law and policy as well as many other topics within environmental law and environmental and cultural studies. 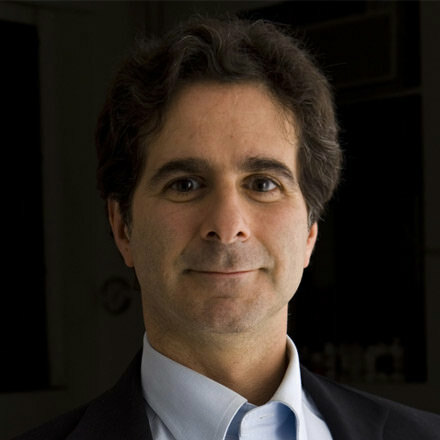 In addition to several books and many articles on topics ranging from water as cultural signifier to climate change and factory farms, Professor Cassuto is also the founder and principle contributor to the Animal Blawg (www.animalblawg.wordpress.com), a blog on animal law, ethics, and policy. A former Fulbright Scholar, Cassuto was recently honored with a Lifetime Achievement Award at the Third World Congress on Bioethics and Animal Rights held in Recife, Brazil. Justia guest book reviewer and Pace law professor David Cassuto comments on the recently published book by Justia columnist and Cornell law professor Sherry Colb, Mind If I Order the Cheeseburger and Other Questions People Ask Vegans. Many readers of the column and/or the book, will find themselves interested and educated about veganism, and possibly even ready to give it a try.